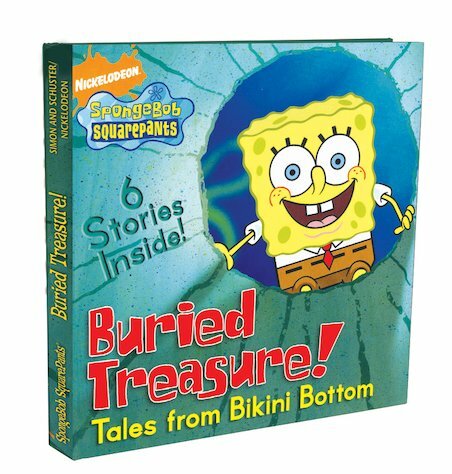 Strike gold in Bikini Bottom with a bumper book of six colour stories. Absolute treasure. Five fabulous full-colour comic stories packed with ocean action. Plus one super-duper joke section filled with Spongey’s coolest ocean funnies. We love how the massive colour pictures fill the entire pages. This book is extra big, extra fat – and extra funny! is this book long and big or normal like a magazine? I don’t normally watch or read SpongeBob (being an 11 year old girl! ), but recently I watched an episode and really liked it! It made me laugh, honest! Then I started watching more with my little brother and found I liked it. So, I picked up his SpongeBob books and read them! They do not disappoint! Perfect for all (new and old!) SpongeBob fans.